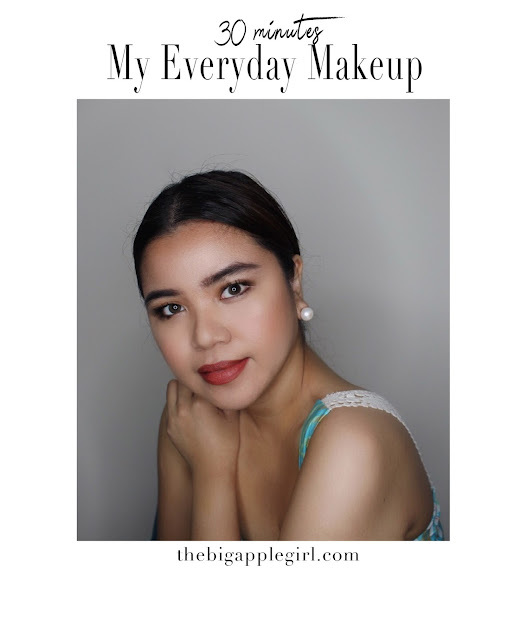 I always get asked about my makeup routine, products I use and tips. Finally, here it is you guys! This is my everyday makeup look. It can be done in 30 minutes. Your everyday makeup might be different from mine but this is how I want to look when I'm out and about. I usually wear a dark red lip but for this look I chose a different shade. 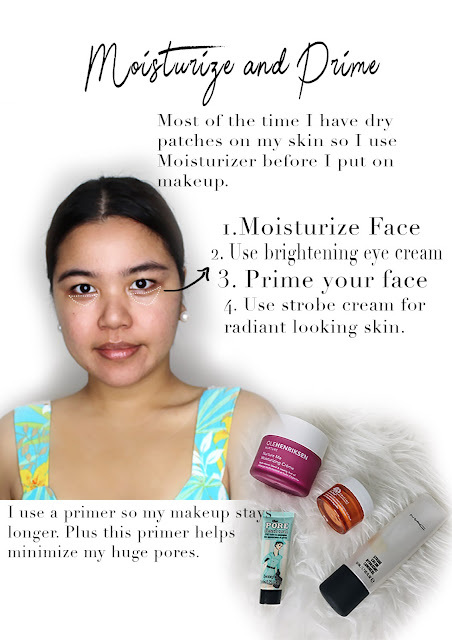 If you have huge pores like me, I highly recommend Benefit Cosmetics Porefessional Face Primer. EYES: I have hooded eyes so I like to create that deeper eye look just to give a fake crease. 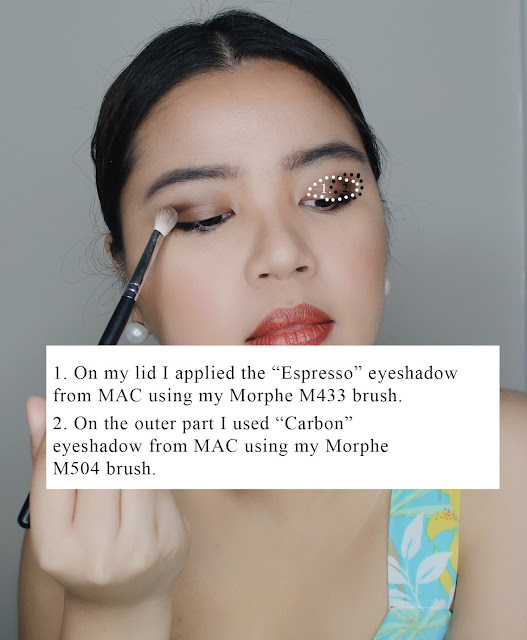 I use Espresso and Carbon eyeshadows from MAC. For my eyebrows I use Anastasia Beverly Hills pencil in medium brown shade. Then I use a clear brow gel to hold my eyebrows in place. 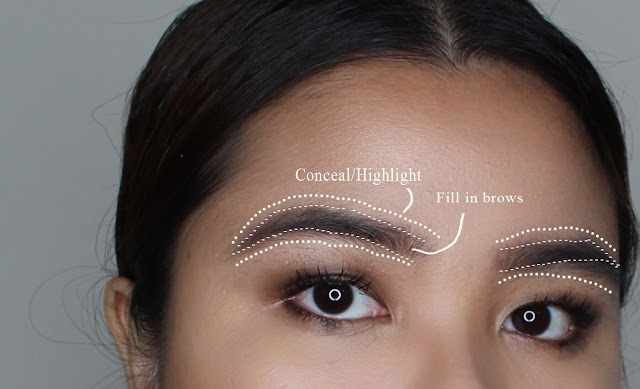 Last is putting on concealer or highlighter on the top and bottom of your brows to make it look clean. I don't use eyeliners unless I need to. 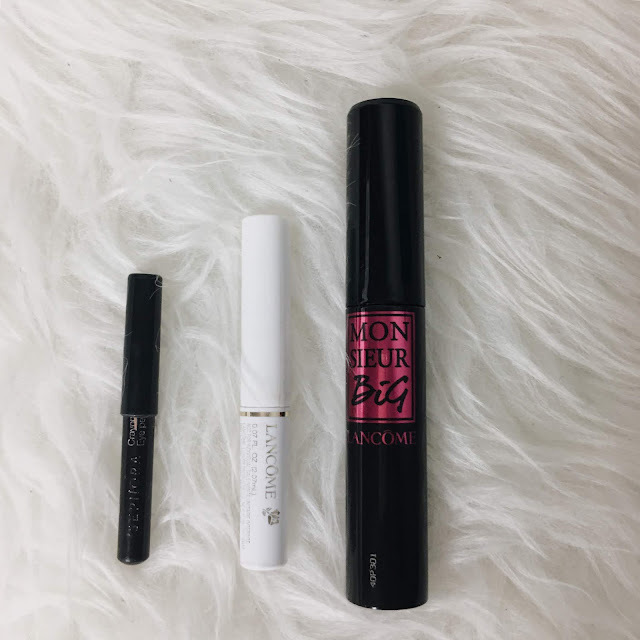 I like having thick eyelashes so I use Lancome's eyelash base then Monsieur Big Mascara. FACE: I have been loving Marc Jacobs Shameless Foundation. It's lightweight and self setting. I don't need to use powder when I'm using this. 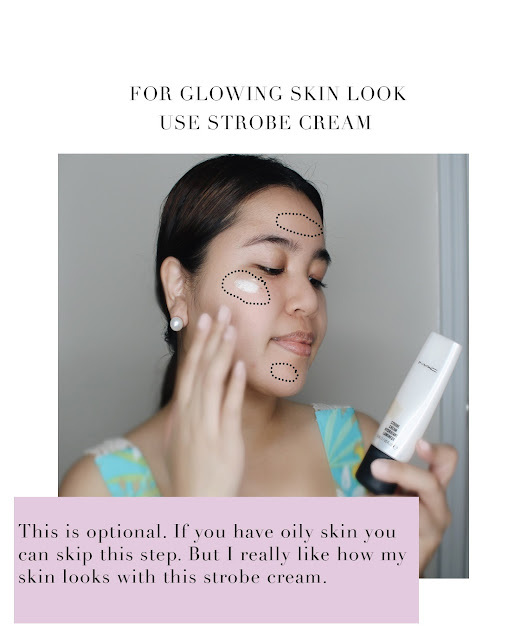 I conceal blemishes using Tarte Shape Tape concealer in medium shade. Then to highlight the bridge of my nose and under my eyes, I use Maybelline Fit Me concealer in light shade. 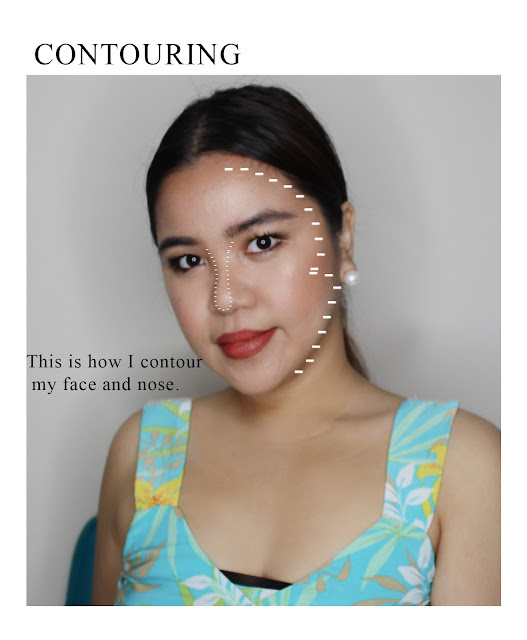 CONTOURING: I've been using Too Faced bronzer for years but I recently purchased Hoola by Benefit! It's now my fave!! BLUSH AND HIGHLIGHTER: Sometimes I wear the "Drunk Blush" look which goes across your cheeks to the bridge of your nose. When I really like that glowing skin, I use highlighter. 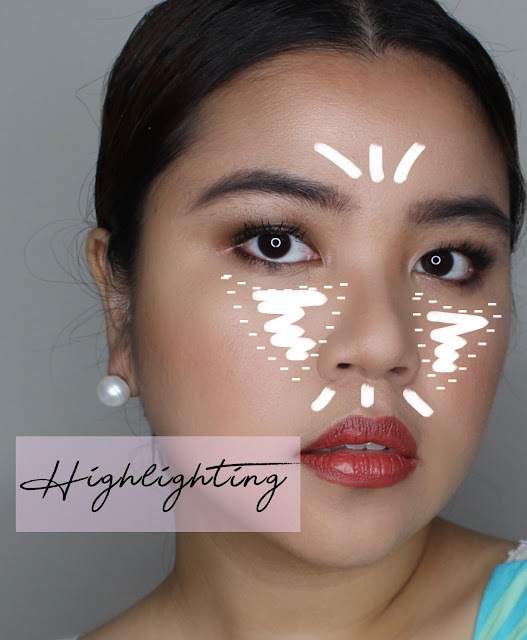 I have been using Burberry highlighters. LAST STEP: SETTING SPRAY. TO KEEP EVERYTHING LOOK NATURAL AND DEWY, I USE TARTE OR MARIO BADESCU. LIPS: IT DEPENDS ON MY MOOD BUT SOMETIMES I GO FOR BOLD RED LIPS. AND SOMETIMES I JUST USE LIKE A BROWNISH SHADE. I HAVE NICHIDO(FROM THE PHILIPPINES $2) LIP LINER IN ROSETTE AND NYX LIQUID IN THE SHADE OF SANDSTORM. OPTIONAL: IF YOU HAVE OILY SKIN AND YOU WANT TO SET YOUR FACE WITH A POWDER, I USE SEPHORA'S LOOSE POWDER.